Investors reacted positively to John Thain’s departure from CIT. Beleaguered big banks should take note. 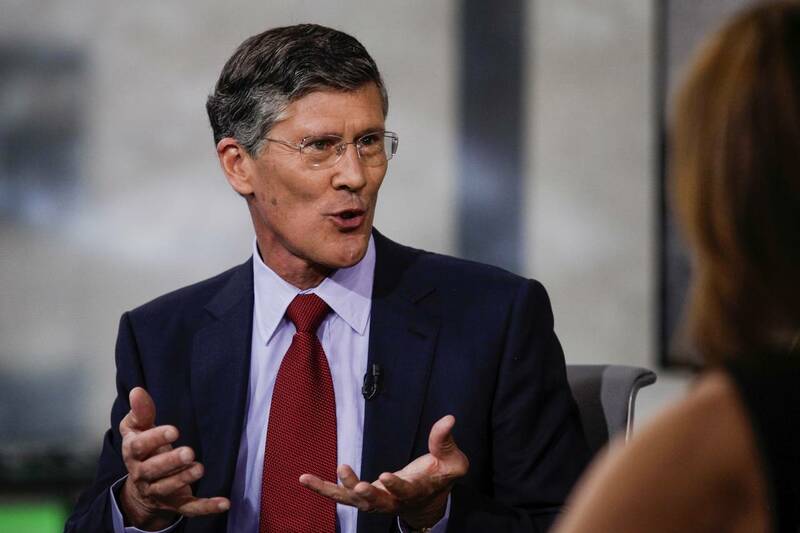 John Thain’s quest to build a banking empire at CIT Group came to an end last week. That should be an occasion for soul searching in the boardrooms of some of the biggest U.S. banks. Mr. Thain bears the dubious distinction of having built the first intentionally created SIFI, or “systemically important financial institution.” He earned that through the acquisition of OneWest Bank, a move that pushed CIT’s assets above the $50 billion threshold that qualifies a bank for extra measures of supervisory scrutiny. Investors initially applauded the move. It promised CIT low-cost deposit funding, pointed the way to asset growth, and put the bank’s abundant capital to work. The stock shot up nearly 14% after the deal was announced. Yet the enthusiasm didn’t last. Before last week’s announcement, CIT’s shares had declined around 13% from the start of the year, compared with a 4.6% decline in the KBW Nasdaq Bank index. Even after the bounce following Thain’s departure bounce, CIT’s stock was still underperforming. But Mr. Thain’s exit wasn’t the only high-level departure at the bank. Investors also learned last week that finance chief Scott Parker was also leaving. Typically, the resignation of two top executives so close together would be cause for concern. But rather than read this as a signal that something might have gone awry at CIT, investors breathed a sigh of relief. They sent the stock up sharply higher. Why relief? Mr. Thain’s departure likely means CIT will no longer be pushing itself into the big league of banks. As if to underline that message, the bank also announced it would look to sell its Canadian and China operations and explore options for its $10 billion commercial air business. CIT’s life as a SIFI may prove short indeed. It is no surprise that investors think CIT might be worth more in parts than as a whole, or that it could offer better returns as a smaller bank. A look across the landscape of the big banks shows just how hard it is for them to earn acceptable returns. On a trailing 12-month basis, returns on equity for Bank of America, Citigroup, and J.P. Morgan are all below the 10% benchmark considered to be their theoretical cost of capital. The question for investors then is whether dismantling some of thesebanking empires might produce better results. Obviously that would be a complicated, and fraught, exercise. Still, Bank of America and Citigroup, whose shares have languished below book value for seven years, seem like good candidates for devolution. Both banks could be broken up by cleaving their commercial banks from their investment banks. 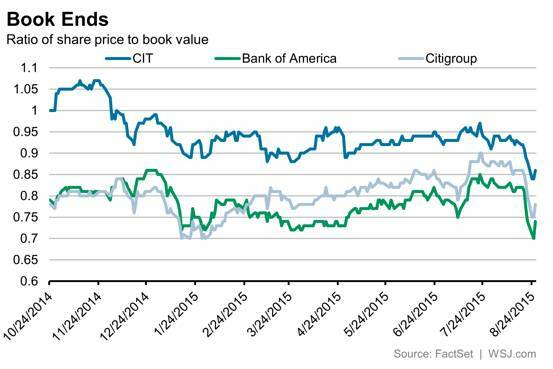 Citigroup perhaps could sell off its international assets. In light of the market’s reaction to Mr. Thain’s departure, boards at long beaten-down banks should at least begin to question whether their current structure is stifling shareholder value.